Someone from Texas sent me an email asking about our church website. Pretty random, I thought, so I asked him were he found us. 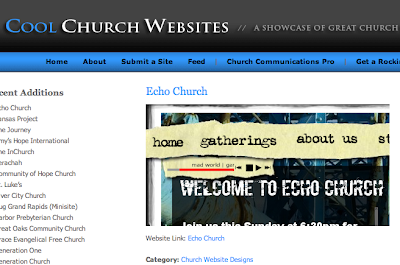 He said we were on the front page of Cool Church Websites. Pretty cool, I guess.